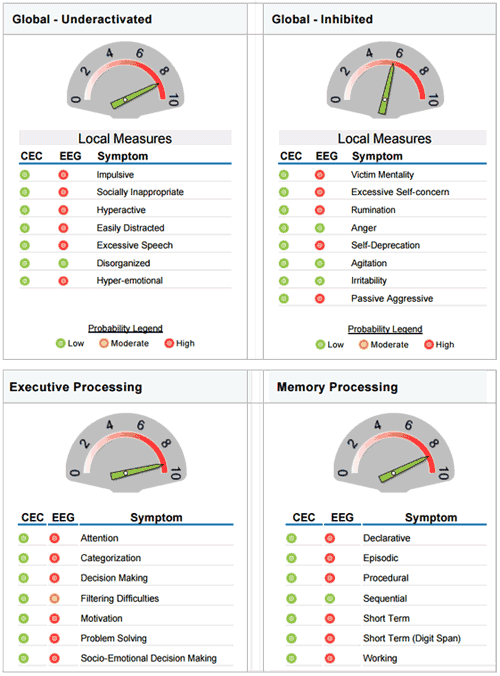 The Neuromap Report is a comprehensive analysis of your brainwave activity. It displays the data for each brainwave type, as well as the emotional and cognitive results. The brain is a very complex organ, and the report covers most of the major areas that can cause symptoms to appear. Listed below are sample sections of the neuromap report, with an explanation for each section. A more detailed analysis of the brain is provided in this section. Specific measures such as Impulsiveness, Aggression, Focus, Motivation, Memory processing and much more is detailed in this section. 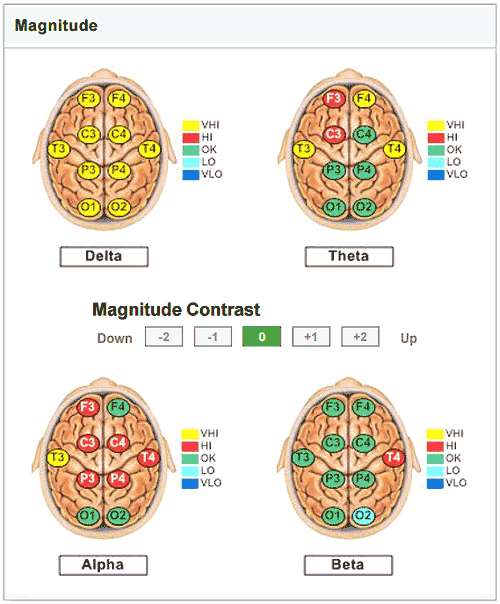 The information displayed shows the map results and the results of the online questionnaire that each person fills out prior to their brain map.